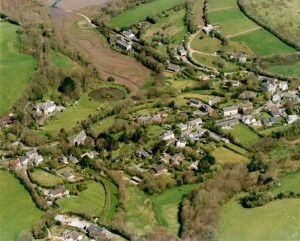 The parish comprises two settlements, St John and Freathy, together with residential houses and farms set in a rural landscape classed as Area of Great Landscape Value, and situated between the two AONBs of Rame and the Tamar Estuary. The village of St John is a narrow ribbon type hamlet of some eighty cottages and houses, situated in a narrow wooded valley. Many of the cottages are traditional stone cottages up to 400 years old and for this reason St John is a designated heritage Conservation Area, the limits of which are the tops of the surrounding hills that can be seen from the village itself. The Conservation Area is significant in preserving the character and appearance of the village, and provides planning protection from inappropriate development. 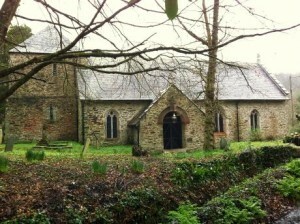 The twelfth century St John-in-Cornwall church is dedicated to St John the Baptist. The listed building has a Norman tower and fifteenth century chancel and nave. St John-in-Cornwall church has a delightful graveyard, which abounds in beautiful spring flowers. The St John Village Hall is a pro-active centre for the community, providing the venue for several activity clubs, and which hosts many social functions throughout the year, from Guy Fawkes displays to popular wine tasting evenings, childrens’ fun days and various quiz and themed events. The popular St John Inn has now been refurbished and owners Rob and Gill are there to welcome you on Thursdays, Fridays, Saturdays and Sundays. St John’s Lake, just north of the village is a tidal creek recognized for its importance to many overwintering wildfowl and wading birds and is designated as a Site of Special Scientific Interest. There is an unusual tidal ford still maintained on Gooseyford Lane. Freathy village (together with smaller settlement of Treganhawke) is a chalet village, comprising chalets erected prior to the Town & Country Planning Act and in which there are tight restrictions on the development of new chalets as well as alterations to existing chalets. There are approximately 120 chalets, 40% of which are used as holiday homes. The resident population of Freathy is approximately 115. Freathy is in the south of the parish, which is designated as Heritage Coast. 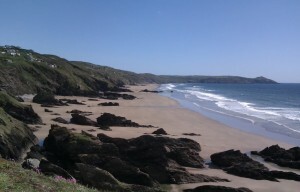 At Freathy there is a lovely sandy beach accessible only by steep footpaths, which lead down from the South West Coast Path. The landscape is mainly used for farming including sheep, dairy and flowers and crops. Tourism is important to the area and many visitors come in the summer to stay in the holiday chalets on the cliffs at Freathy and Tregonhawke and the Whitsand Bay Holiday Park. There is a small polythene products factory adjacent to the B3247.